A little about us: we love what we do – and when there is passion in the planning process you can expect the extraordinary. WP Events brings a unique skillset to the process, ensuring that we’ve got all the bases covered when it comes to your special event. It is our goal to provide an exemplary experience from the first planning proposal to the last dance on the night of every event. We can create all types table settings. 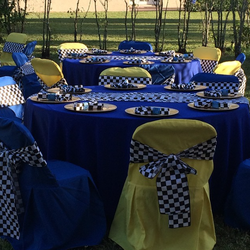 From floral arrangements to lux-linens we will make your event spectacular. Get a taste of our gorgeous cakes, cupcakes, candy stations, chocolate fountain, cake pops and more! Themes go beyond props, let us help you create an ambiance that will have your guests in awe! WP Event Services. © 2015 All Rights Reserved.